The Pantone Colour of the Year is here to end your search for 'the' lehenga colour of 2019! 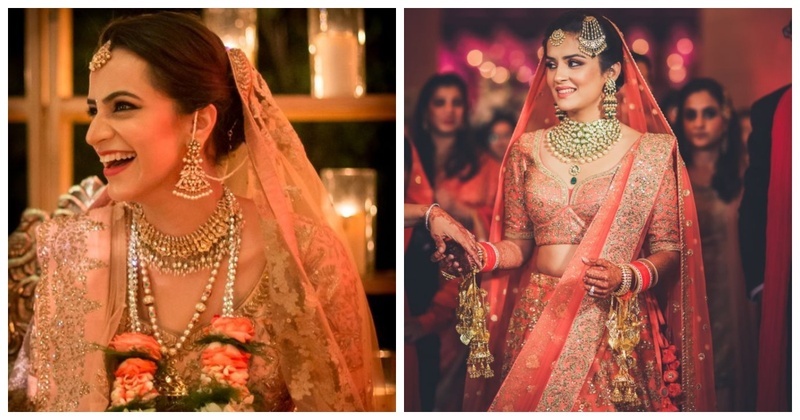 Already a wedding favourite, here are some coral gowns and lehenga that you can get inspired by for your 2019 wedding! 1. This bride’s coral lehenga with intricate zardosi work screams “beautiful”! 3. This layered coral gown would be perfect for your engagement/cocktail! 4. In love with this bride’s coral lehenga that coordinates with the groom’s safa and chunni! 5. An ombre coral lehenga, anyone? 7. A flow-y coral gown with a long trail will make heads turn! 8. Love how this designer has paired an ombre coral gown with silver detailing! 10. This bride’s bindaas choice to wear a coral lehenga on her mehendi function! So, are you all geared up to find that perfect living coral lehenga for yourself?